As the film is inching closer to its release, Mard Ko Dard Nahi Hota has been intriguing the audience with creative insights. The recent poster by the makers will give you a message as well as make you feel uncomfortable. 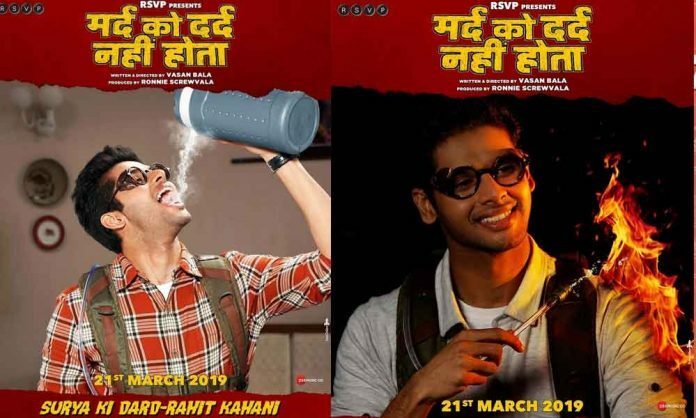 Abhimanyu Dassani as Surya in Mard Ko Dard Nahi Hota has made his mark as the man who feels no pain with every quirky poster. The latest poster advocates to drink water like the trailer, but leaves the audience in shock as Surya gulps down steaming water. P.S. Paani toh peete hi rehna chahiye! If steaming water wasn’t enough, Surya also played with fire in another poster. One poster after another, the makers of Mard Ko Dard Nahi Hota are engaging the audience revealing one trait after another with the quirky and gimmicky posters of Abhimanyu Dassani.